by Miroslave Bárta et al. 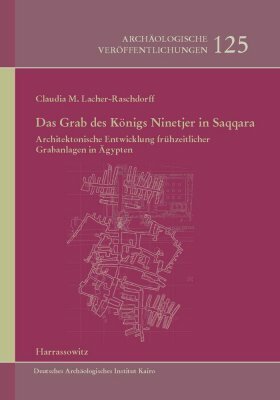 This is the latest monograph on the Czech Institute of Egyptology’s longterm project investigating the cemeteries at Abusir South, with input from the Tokyo University of Science. 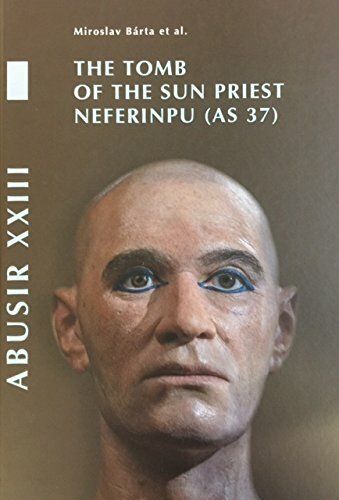 The official Neferinpu (‘Anubis is accomplished’) was a sun priest serving during the Fifth Dynasty reigns of Nyuserra through to Djedkara (c. 2445 - 2375). His heavily damaged mastaba tomb was first discovered in 2006/7 as one of several interconnected tombs within a large family compound. Subsequent excavation work has revealed a corridor chapel with four cult places above ground, and six shafts and burial places in the substructure, containing at least five burials. The book introduces us to Neferinpu (‘wab priest’ and ‘overseer of all works’) and what is known of his family (two sons are named in the tomb), and then provides a detailed exploration of the architecture and archaeology of the tomb, illustrated profusely with black and white photographs and line drawings. A separate section on the decoration of the tomb, highlights that Neferinpu was not the first to be buried in the mastaba; the original small mud-brick mastaba was undecorated, but later enlarged and carved in low relief for Neferinpu. There is a chapter analysing the hieratic inscriptions on the external masonry and a catalogue of finds from the tomb, which include relief fragments, pottery, model stone vessels, a wooden headrest and four wellpreserved limestone canopic jars with flat lids. An investigation of the skeletal remains shows that Neferinpu was aged between 35 and 50 at death (most likely in his late 30s) and that his feet had been broken to make his body fit the sarcophagus. Sadly in 2011, looters got into the tomb and damaged most of the skeletons, including Neferinpu’s skull, which was broken into many pieces, but the team had fortunately managed to measure and scan the skull before this happened and a facial reconstruction was made (which features on the front cover). A comprehensive set of colour plates at the back of the book, some of which are in large pull-out format, details the tomb’s location, structure and finds. 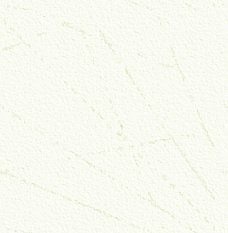 This work is a comprehensive record of an important tomb find which, together with the study of the interconnected tomb group, provides new evidence for one of the critical periods of the Old Kingdom as well as adding significantly to our knowledge of ancient Egyptian life and society. In the same way that Chaucer or Shakespeare would find modern English difficult to understand, the language spoken by ancient Egyptians in the New Kingdom differed substantially from the Middle Egyptian customarily taught to those beginning to learn hieroglyphs. For example, the use of word endings to indicate gender and number had fallen out of use, and was replaced by ‘determiners’ placed before nouns. Late Egyptian was spoken from the Seventeenth to the Twenty-fourth Dynasty, and in the Amarna Period became the written language for private correspondence, legal documents and literature, as well as for some official inscriptions. 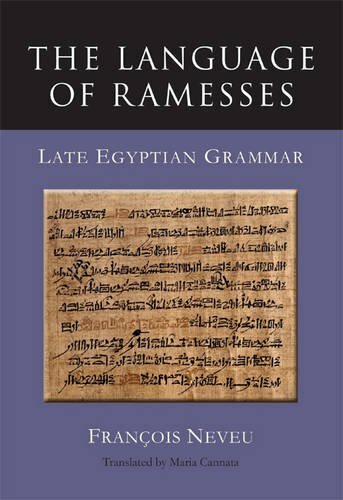 This volume, first published in French in 2010, arose from the author’s ten years of experience of teaching Late Egyptian grammar, and is intended for use as a teaching tool for scholars with a good grasp of Middle Egyptian. Part One of the work deals with Morphology, Part Two with Syntax. There are also two appendices, one covering interrogative constructions and the other with syllabic writing. This is not a book for an amateur, but for someone wishing to study the extant literature of the New Kingdom, it will be invaluable. I am increasingly finding the poorly understood Second Dynasty to be one of the most fascinating periods of ancient Egypt. The Second Dynasty appears to have been a period of experimentation, when the fundamentals of the pharaonic state were very much in flux. Both the underground tomb of the Second Dynasty pharaoh Ninetjer and the nearby tomb of his contemporary Hetepsekhemwy, lie to the south of the Step Pyramid enclosure at Saqqara and their presence there has been known for some time. Until recently however, except for their location, very little was known about them with any certainty. So it was with great interest that I looked forward to the publication of this book, and what a masterwork it has turned out to be! With some 250 pages of text (in German), 44 black-and-white plates and a series of 14 large-format coloured plans, the work explores the Tomb of Ninetjer in far more detail than has hitherto been available. Modern perceptions of ancient Egypt are based on our understanding of the later periods of the pharaonic state – the Old Kingdom ‘pyramid age’ or the New Kingdom ‘Age of Empires’ and it is therefore, difficult for us to appreciate ancient Egypt at such an early time. The Tomb of Ninetjer of course, predates most of the pharaonic period and was built at Saqqara at a time before the Step Pyramid, when this vast necropolis must have been a very different place. After setting the scene for this early period, the tomb is described and illustrated and the sequence of development, together with the likely methods of construction, is explored. It is argued that the tomb was built in phases and that parallels can be drawn between this phasing and similar construction stages in the nearby Hetepsekhemwy tomb. An interpretation of the layout of the various elements of the Ninetjer tomb is presented with areas identified as storage magazines and representations of the royal palace; several areas within the tomb are identified as possible foci for the worship of the cult of Ninetjer. Although no surviving superstructure has been identified, by drawing on the form of other tombs and structures from Egypt’s early periods, the possible form of the superstructure is also explored. This, then, is by far the most comprehensive work on a royal tomb of the Second Dynasty that I am aware of and rather than just focus on Ninetjer’s tomb, the work explores other royal and non-royal tombs from this period and seeks to place them in a context that reflects the full extent of current knowledge of architecture – specifically royal mortuary architecture – of the earliest dynasties. It is a work that is long overdue and I hope that the authors will consider turning their attention to the nearby Hetepsekhemwy tomb. Part of the British Museum’s ‘Object in Focus’ Series, this small book by Anna Garnett focuses solely on one statue in the museum’s collection – but that statue is one of the most famous pieces of sculpture in ancient Egyptian history. The colossal statue of Rameses II (“the Great”) – known as the “Younger Memnon” and “Ozymandias” – was taken from the king’s mortuary temple on the West Bank (the Ramesseum) by ex-strong man Giovanni Belzoni, and its installation at the British Museum led to a greater appreciation of ancient Egyptian artefacts as works of art equal to the classical antiquities of ancient Greece. Anna Garnett gives a full description of the bust and its inscriptions. Weighing over 7 tons, it is only the top part of a colossal seated statue cut from a single block of stone, as is shown in a clever digital reconstruction photograph showing the almost complete statue in its original location. 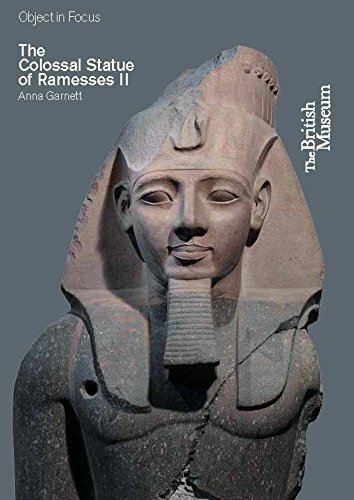 The author also provides context with a brief history of Rameses II’s reign, chapters outlining how and why such colossal statues were created, and an account of the monumental task of moving the statue to Britain and installing it in the museum. Well-illustrated with colour photographs, this little guide has everything you need to know about the statue that has inspired poets and generations of museum visitors. This beautifully-illustrated souvenir book accompanies the new exhibition touring museums in Manchester, Glasgow and Liverpool. Introductory chapters have descriptions of the landscape, environment and biodiversity of ancient Egypt, followed by comprehensively referenced explanations of the practice of providing animal mummy votives as “gifts for the gods” and the industry that produced millions of animal mummies, particularly during the late Roman Period. 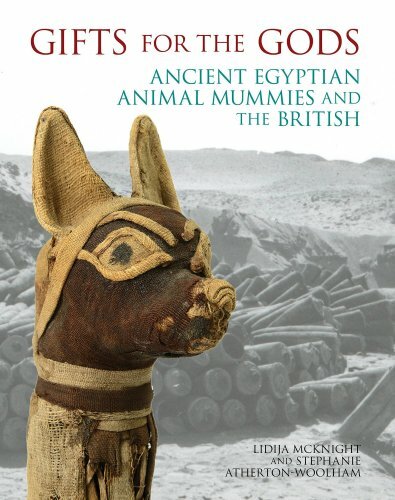 Other chapters focus on the British collectors of animal mummies, the history of excavation in Egypt (including work at the Sacred Animal Necropolis in North Saqqara), and the work of the Ancient Egyptian Animal Bio Bank at Manchester in scanning and sampling mummy material, experimental mummification and conservation. With colour photographs of many of the exhibits, this is a comprehensive guide to the fascinating study of animal mummies.